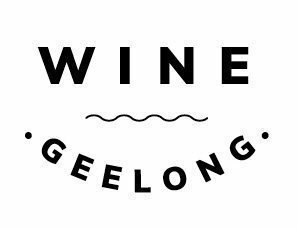 Now in it’s 17th year, Toast to the Coast is a true celebration of our unique Geelong wine region, the perfect day out or weekend away, and also includes a multitude of family-friendly venues. Entry Ticket includes unlimited entry to Toast To The Coast winery events across all regions, wine tastings and commemorative wine glass, and entertainment. ¹ These tickets are exchanged for an entry wristband, your Toast to the Coast glass for tastings, and access to all the participating wineries, wine tastings, live music, entertainment and more! These tickets do not include access to our shuttle bus. Ticket Instructions: Please present your ticket at the collection venue you nominate when making your online ticket purchase, to exchange it for your entry wristband and festival tasting glass. Your wristband and glass will be available for collection only on the specific day and venue you selected in your initial ticket transaction. Please take note of your selection. Wristbands and glasses will not be replaced if lost. Collection is available from Geelong Railway Station, Clyde Park, Leura Park Estate, Mt Duneed, Ocean Grove Post Office on event day from 9:30am. These venues will not have wristbands and glasses before event day. Children are welcome but must be accompanied by their parents or guardian at all times. Children under 18 are not required to buy an entry ticket. ² These tickets are exchanged for an entry wristband, your Toast to the Coast glass for tastings, and access to all the participating wineries, wine tastings, live music, entertainment PLUS access to the outbound/inbound regional bus out to the regions and unlimited hop on/hop off on shuttle buses servicing participating wineries. Children are welcome but must be accompanied by their parents or guardian at all times. Children under 18 are not required to buy an entry ticket or shuttle bus ticket. Children are allowed to use the shuttle bus (they do not need a shuttle bus wristband), however please note seats are limited and shuttle ticket holders take priority during peak hours. When you enter the Toast to the Coast event space, you enter an area where photography, audio, and video recording may occur. By entering the event premises, you waive all rights you may have to any claims for payment or royalties in connection with any exhibition, streaming, web casting, televising, or other publication of these materials. You also waive any right to inspect or approve any photo, audio, or video recording taken by Toast to the Coast or the person or entity designated to do so by Toast to the Coast. Ticketholders must be18yrs+ to participate in wine tastings. ID may be checked at wineries before service.